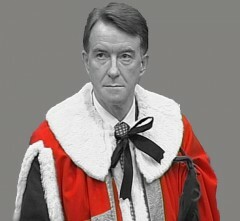 Peter Mandelson’s attitude to class politics is widely seen as typified by his comment that the New Labour government was “intensely relaxed about people getting filthy rich”. He, like rival political parties and hostile voices in the media, continually questions the role of trade unions and of their members within our party – in parliamentary selections, in policy-making, and in electing the leader. He does so even though he was content when they helped him and Tony Blair into their seats in the north-east, and when they voted for Tony Blair as leader. At the recent Progress conference, where he first attacked trade unions for wanting to influence the outcome of current selections, he also described union voting strength at conference as “disgraceful” — and this was in answer to a question inviting him to outline what united Progress and Unite! You report that Peter Mandelson is accusing my union, Unite, of “manipulating selection procedures” in the Labour party, which “stores up danger for a future Labour government” (Labour warned on selection panel procedures, 13 May). This does no service to Labour democracy or the facts. I have no axe to grind with Lord Mandelson. His second stint at the business department under the Labour government was marked by fresh thinking about industrial policy, which I wish he had had the opportunity to develop; and he seems more willing than some to acknowledge that the pre-2008 economic model was flawed. But now he appears rattled that Blairite true believers are not winning every Labour nomination. Your report does not have him alleging any breach of party rules or procedural abuses, perhaps because there are none. Unite’s aim is simple – to recruit members to the party (welcome, I would have thought) and then encourage them to endorse union-supported candidates in one member-one vote selections. A sinister construction is put on this – “selections are being run by a cabal of union members“, according to your report. This is, to say the least, an irony. Many serving Labour MPs were parachuted into constituencies at the request of leading members of the last Labour cabinet, including Mandelson himself. Dishing out seats on the basis of personal connections bears a closer resemblance to the rotten borough system before 1832 than it does to modern democratic procedures, and it also helps keep politics as the preserve of a socially restricted elite. Mandelson also appears untroubled that Lord Sainsbury’s vast wealth, channelled through the Progress organisation, has been used to give particular candidates, invariably on the right, an advantage in Labour selections. Mandelson argues, correctly, that it is “wrong to conflate trade unionists and the working classes“, although the overlap is hard to miss. I don’t conceal that I want to see more Labour MPs supporting the sort of policies developed by Unite and other trade unions, regardless of their personal backgrounds. But Labour MPs look less and less like the people they seek to represent. The big strides made in securing more women Labour MPs have also, unfortunately, been paralleled by a decline in those from working-class backgrounds. Mandelson has no proposals to address this. This is really an argument about politics, not procedure. Mandelson is probably intensely relaxed about cutting democratic corners if it means more “New Labour” special advisers and the like on the green benches, but utterly opposed to the normal workings of Labour democracy if it means leftwing or trade union candidates being chosen. Let’s have the political debate instead. I am confident that most potential Labour voters want to see both a more diverse Labour party in parliament, and also a Labour government radically different from the last one. Finally, I object strongly to his insinuation that union-backed MPs might be loyal not “to the party as a whole“, but “a section of it“. Trade unionists have always been Labour loyalists. Rightwing MPs, not unions, split Labour in 1931 and 1981, just as it was New Labour parliamentarians who fuelled the debilitating Blair-Brown factionalism that so weakened the most recent Labour government, as Mandelson surely knows. CLPD have also circulated another 10 red hot draft rule changes for CLPs to consider. All 11 can be downloaded from the article on this website or over on the CLPD website. Many thanks to all those CLPs that have nominated Katy and myself in the last week. I see that both the Whips who are opposing us voted for David Miliband. Katy voted for Ed M and CLPD circulated specially tailored material to every CLP supporting Ed. Yours in comradeship. PW.